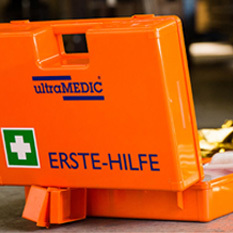 With an ultraMEDIC first aid box, you get a stationary and a mobile solution in a single product: for wall mounting at any point with increased hazard potential and removable for transportation to the accident area. Various sizes and versions enable optimum adaptation to individual needs and requirements. 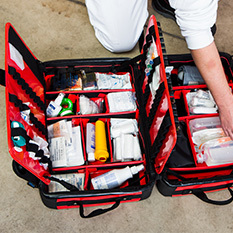 If the capacity of a first aid box is no longer sufficient or a mobile solution is not required, our robust first aid cupboards made from high quality sheet metal come into play. They are available in various sizes, versions and colours: the right cupboard for every requirement and for every room! 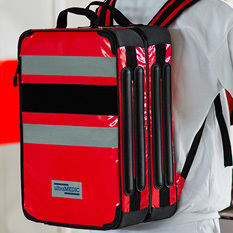 The complete assortment of refills and special items from ultraMEDIC for first aid kits, bags, cupboards and rucksacks meet the highest quality requirements, are certified by TÜV Süd and comply with the respective country-specific standards. But actually, we want only one thing: that they will never be used! ultraMEDIC rescue stretchers are suitable for every application involving the rescue and removal of sick and injured persons and are cleverly designed down to the tiniest detail. 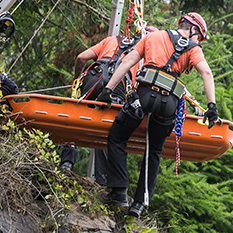 We are the sole provider of “Made in Germany” rescue systems, which we develop for use in even the most difficult of conditions and which can be individually configured. 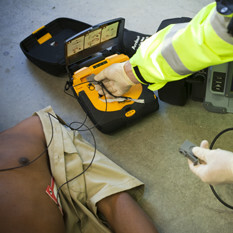 Rest and examination couches from ultraMEDIC are quality products "Made in Germany" and indispensable equipment for your first aid room - they support first responders in their work and offer safe, convenient storage for patients. They are also an ideal match for your premises, both optically and in terms of space. When professionals are dispatched to tackle a blaze, they need to be able to totally rely on their equipment. 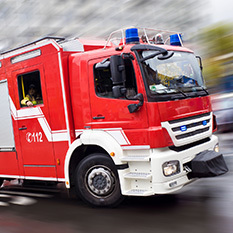 For this reason, we develop high-quality specialty products for voluntary and professional firefighters, which help to ease the difficulty of their work.